Finnish Folk Metal Superstars KORPIKLAANI are set to release their new studio album Kulkija ("Wanderer"), on September 7th, 2018 via Nuclear Blast. 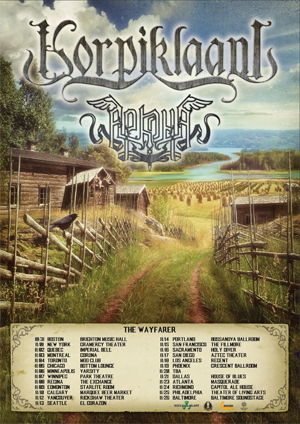 KORPIKLAANI also released some news about their long awaited tour today! The band's last run in North America (w/ ENSIFERUM, TROLLFEST) was over 3 years ago. Now the wait is over and the band will finally return to the states for a 25-show tour in October & November 2018. Russian pagan/folk metallers ARKONA will be joining them as direct support act. All dates can be found below.